Super Bowl Beer Bottle Labels. Refreshingly different! Fun selection of Super Bowl XLII theme water bottle labels. 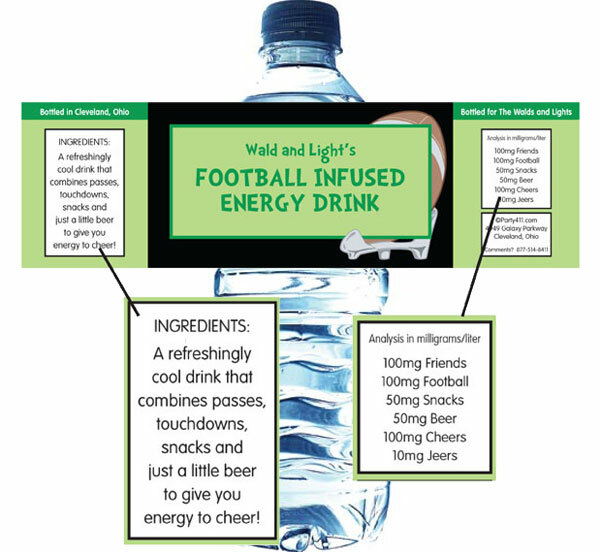 These water bottle labels will make a great addition to your Super Bowl party and are an unique Super Bowl party favor. 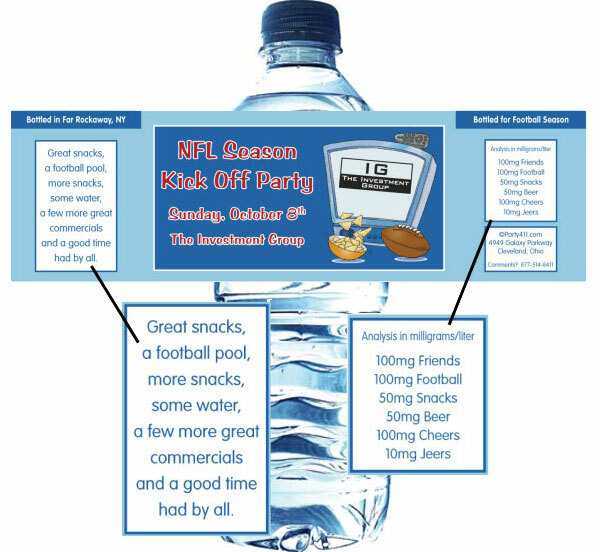 Great for your football celebration!